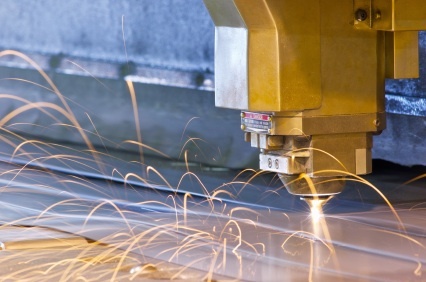 Wish you had your own laser to cut your parts out? Do you have a scale building or two you always wanted to make that may have details beyond your capabilities or just too many details to incorporate easily? Do you have a few drawings of those buildings that you always wanted to get cut out on a laser? When you visited your local sign shop about cutting your parts on their laser, he wanted to charge you so much that you were thinking he just needed to make a boat payment? Have you heard about the new resin impregnated paper called Laserboard that a lot of the kit builders are supplying in their kits instead of wood or styrene? Automated Artists can supply you with an accurately cut kit of parts of your drawing to scale in several different materials INCLUDING Laserboard. All you have to do is supply the artwork in DXF file format via email, and have the laser cut parts mailed back to you in a short turnaround time, typically 1 or 2 days. We supply free quotes when you email us the file. You supply the actual dimensions as if it were a full scale building and we scale it down and run it through our dimension package software which calculates the actual distance the laser has to travel and charge you for that distance plus a small setup fee which includes the cost of the materials used. We can also cut you a stack of dimensional lumber along with your order. Automated Artists is now in the contract laser cutting and engraving business. We have been using our equipment to cut and build buildings and structures used in presentations for architects and designers scale models. We now want to cut your parts too. Using a 24” x 24” custom built flat bed CO2 laser, we can cut your parts from micro-thin plywood, cardboard or Laserboard from your designs. There are several drafting packages out there that export transportable files in the DXF format. Originally developed and used by AutoCAD, it is a text file that describes your drawing in point, line and circle format which we can translate into movements made by the laser to cut your parts. In addition to laser cutting your parts, we also have a good selection of windows and door designs that can be cut from Laserboard and supplied with your job. Since they are not plastic, they can be glued up with your favorite white glue and painted with water based acrylic paints. A list of already existing styles and sizes can be found on the website, but anything you want on your building can be cut out easily. We can also supply you with walls etched with wood siding patterns, concrete block and brick, eliminating the need for a veneer. Your imagination is the only limit here. This product can also be purchased separately by the sheet and comes in 12” x 12” pieces, big enough to cut your larger walls and any other shapes you may need. It cuts easily with scissors or a razor knife, paints well with acrylic water based paints and resists moisture and warping. One service that we have worked with and can produce the files we use for making your parts in kit form is from Kit-O-Mat at http://www.kingmill.com. You can use their free software to generate your building's geometry, and when you receive the files back from them, you just forward them to Automated Artists at laser@automatedartists.com and we can get them cut and shipped back to you, pronto! Don’t have a CAD system? If you want a bit more control of your drawings instead of the Kit-O-Mat, here is an extremely good drawing package for free!! Go to: http://www.3ds.com/products/draftsight/free-cad-software/. This will allow you to generate your drawings and export it to DXF. From "Laser Cutting" to "Model Railroad Buildings"
From "Laser Cutting" back to "HomePage"